The Two Harbors Summer Recreation Program runs from June 10th – July 25th. Parents: Please complete this Parent Transportation Survey by Monday, April 22nd. This survey can be completed and emailed to Sara Girard: sgirard@isd381.org or be printed, completed and send back as a paper copy to any of the building secretaries. We want to gather as much information as possible for future grants and budgeting. Thank you! submitting a proposal are enclosed. Did you know that students perform better when they are well rested and eat a healthy breakfast? Did you know that our MCA scores help determine our eligibility for the 4 day school week? Did you know that limiting children’s screen time before bed will help help them sleep better? Did you know that MCA scores can affect a student’s placement in college level courses? 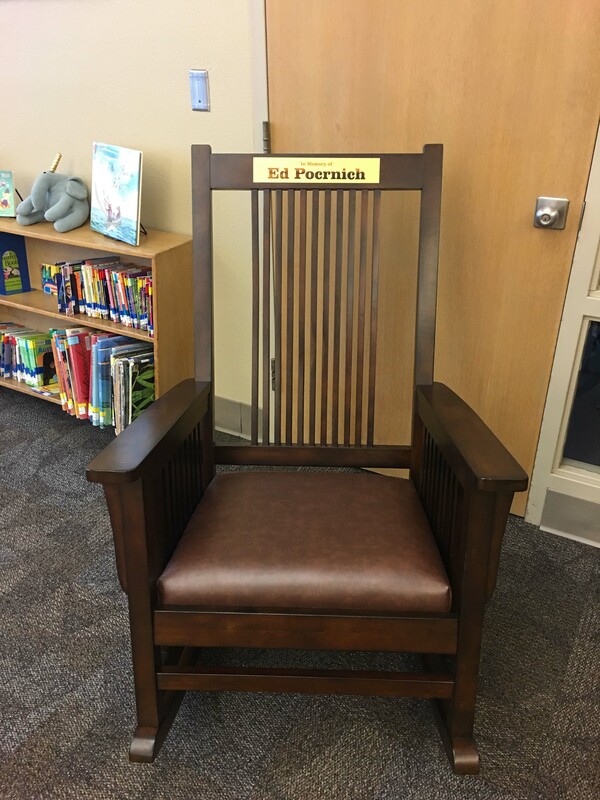 This is the rocking chair purchased “In Memory of Ed Pocrnich”. This chair is currently located in the William Kelley library and is used by students and staff. The chair was purchased with staff donations and the plate was made by the WKHS Industrial Tech Dept staff. Ed Pocrnich was a retired school teacher and principal and was an active teacher and principal sub until his death. All 8th grade students will be a part of an exciting effort at our school designed to increase individual student success. This education model is called Building Assets, Reducing Risks, and it involves all 8th grade students at our school. Parents of 8th grade students, please click the following link for further information on the program.